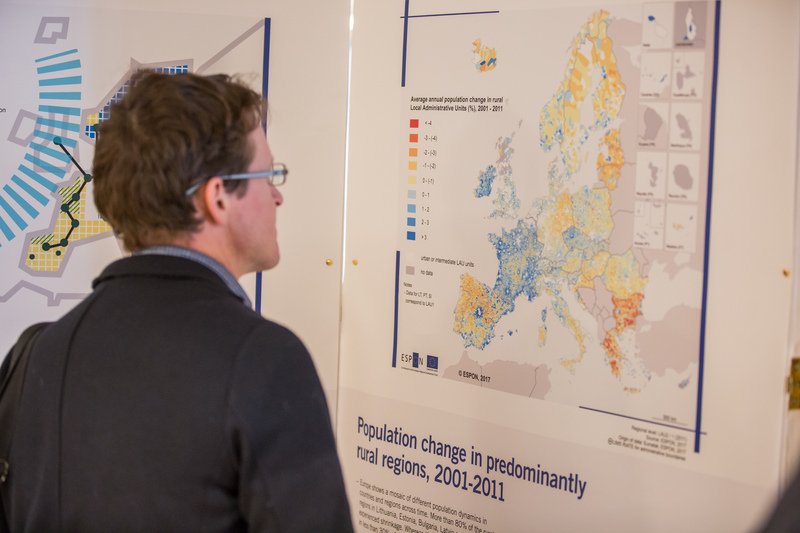 The ESPON EGTC offers a five-month period of training for students in the final stage of their university studies related to territorial development and planning, geography, regional economics, European studies, political science and/or other relevant fields. The work in the Unit on Evidence and Outreach will include a variety of tasks, among others involvement in the implementation of applied research, targeted analyses activities and tools, including the preparation of kick-off meetings with service providers and stakeholders. This will also include financial, administrative and dissemination work related to newly launched calls for tenders in the ESPON 2020 Programme. In addition, the trainees will also be involved in communication activities, and will support the organisation of events, such as seminars, workshops and conferences, and producing a variety of publications and information material. 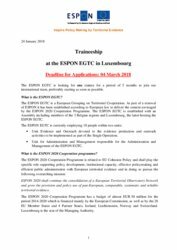 The trainee will have the opportunity to attend European events with ESPON involvement taking place in and outside of Luxembourg. An allowance of 1.100 Euro per month will be offered as an indemnity to support your living expenses during the traineeship at the ESPON EGTC, which also will be helping you with practical matters related to settling down in Luxembourg. Travel costs can be reimbursed by ESPON EGTC on the basis of real expenses made by the trainees for their travel from their usual place of residence to Luxembourg and the way back at the end of the training period. Further information is available below. ESPON EGTC is recruiting an administrative officer for a fixed-term period of two years to support the implementation of the Single Operation financed by ESPON 2020 Cooperation Programme. We are looking for two motivated trainees to join our international team for a period of 5 months. Apply by 31 October 2018.